It has a transpirable material covering pad for the leg, foot and ankle. Light, resistant design. It has a transpirable material covering pad for the leg, foot and ankle. 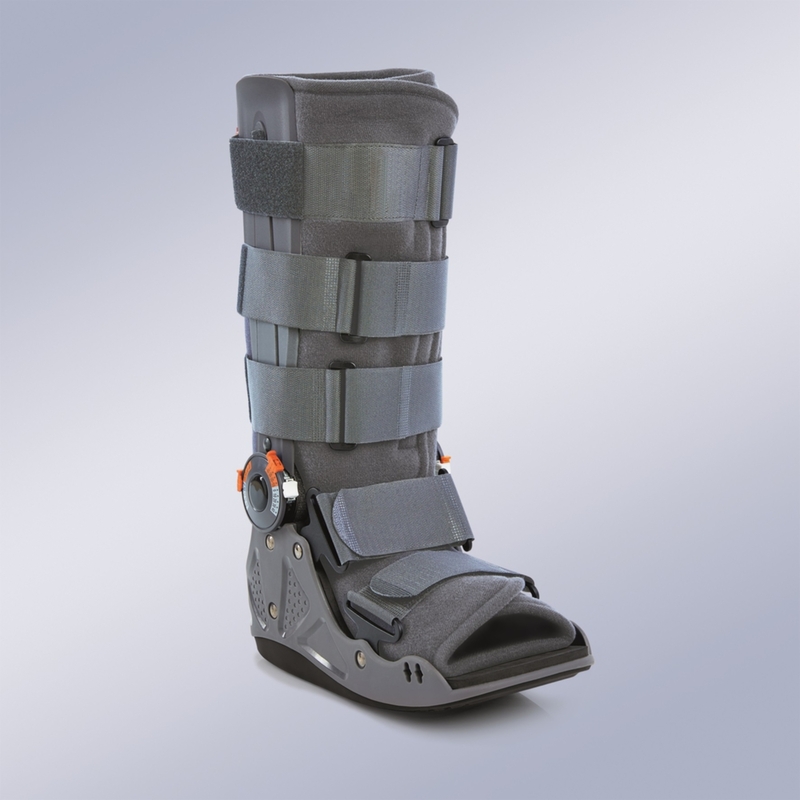 Slip proof, low-profile sole in the form of a balance, attached to monocentric articulations with 0 to 45º flexoextension regulation system and medial and lateral props, tibia and calf protection plates. Indications: Protection and control following traumatism or surgical intervention, sprain and ligament injury, as a method to replace plaster in the treatment of preulcerous or ulcerous conditions of the foot’s plantar surface, Acute plantar fascitis and in those cases which require a uniform distribution of body weight on the plantar surface and immobilisation of the tibia-tarsus articulation.